On a hot summer night, a rowdy crowd rolled out to the legendary Toad’s Place in New Haven, Connecticut for some great rock music. Toad’s filled up pretty quickly and was the most crowded I think I’ve ever seen it. After shooting and entering back into the crowd I could barely see the stage with rows of people stacked in front of me having a good time. The night started off quiet with Kevin Devine and got progressively louder with Vundabar and Manchester Orchestra. Kevin Devine came on first to warm up the crowd. 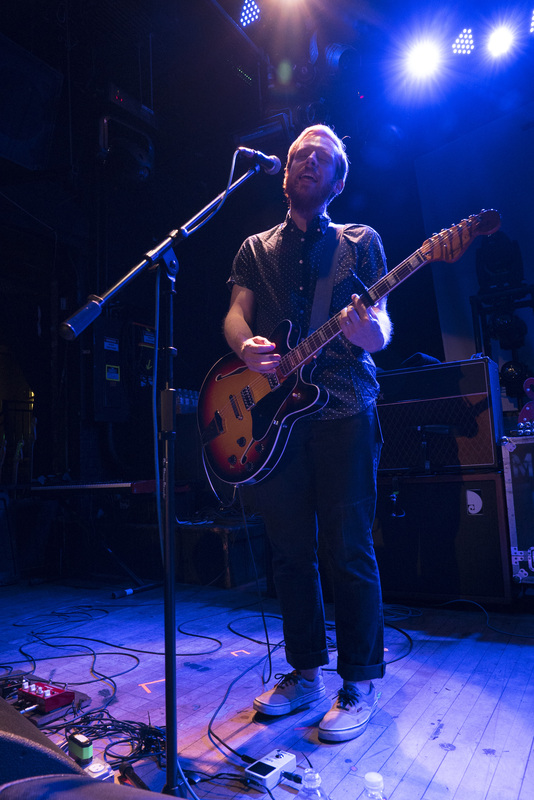 Kevin Devine was an intimate act, just him and his guitar. Devine had nowhere to hide and offered the crowd his raw honesty. He showed the emotion on his face and it was apparent that his heart and soul is in his music. His facial expressions shifting from calm and pensive, to engaged, and intensity with his neck tensing and mouth fully open. Some of the crowd even watched him in awe relating to the raw honesty of his music. At the end, the crowd even howled along with him. In that moment I think everyone united in the joy of music and shared pain. Vundabar came next ramping up the energy. They brought the crowd away from the quiet minimalist sound of Kevin Devine to a fun manic experience. Vundabar is high energy and ready to rock out. Hearing the songs ten times louder than I’d ever listened to them on my own made them sound better than I could’ve imagined. This reflected in their performance; each member moving around on stage in their own highly energetic way. The lead singer and guitarist played with passion moving around when he was not singing and fiercely playing the guitar. The bass player moved around crisscrossing back and forth across the stage and letting his long hair catch in the lights. 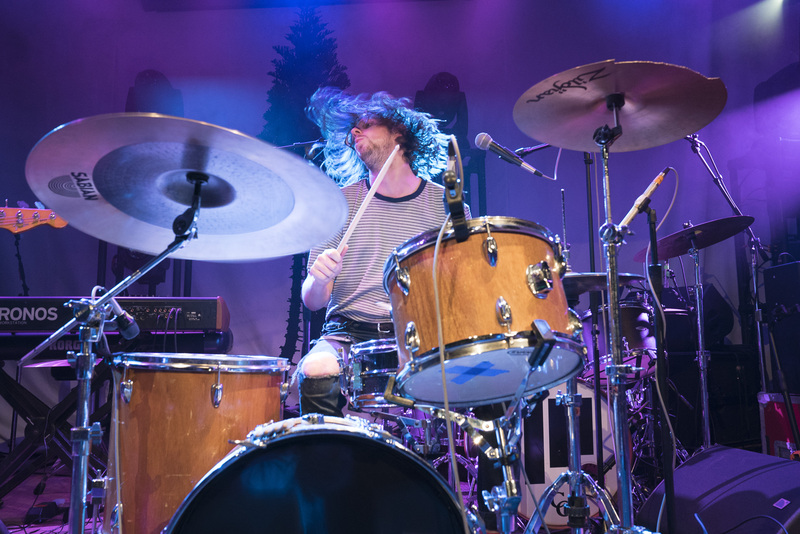 The drummer played with his whole body, keeping the beat of the fast-paced music and showing his passion by letting his long hair whip about. Manchester Orchestra closed out the night. Manchester Orchestra came on and proved to be a powerhouse of a rock band. Manchester Orchestra put on an ethereal set exceeding all expectations I had for their live performance. Like Vundabar they were better than I ever could’ve imagined. 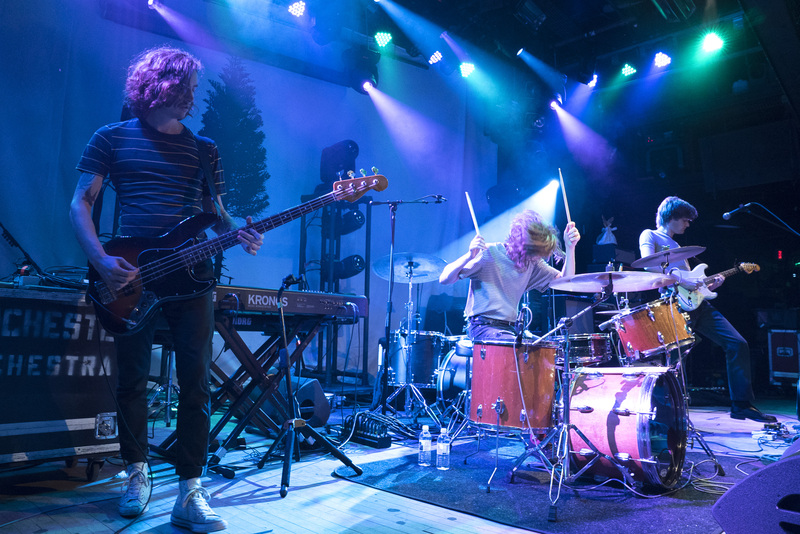 Manchester Orchestra presented a full beautiful sound with vocals, two guitars, bass, keyboard, and drums. The band played hard-hitting rock songs that sizzled and showed their chops as well as playing songs that took it slower and made me think of the existential wonders of the world as all of the sounds came together. 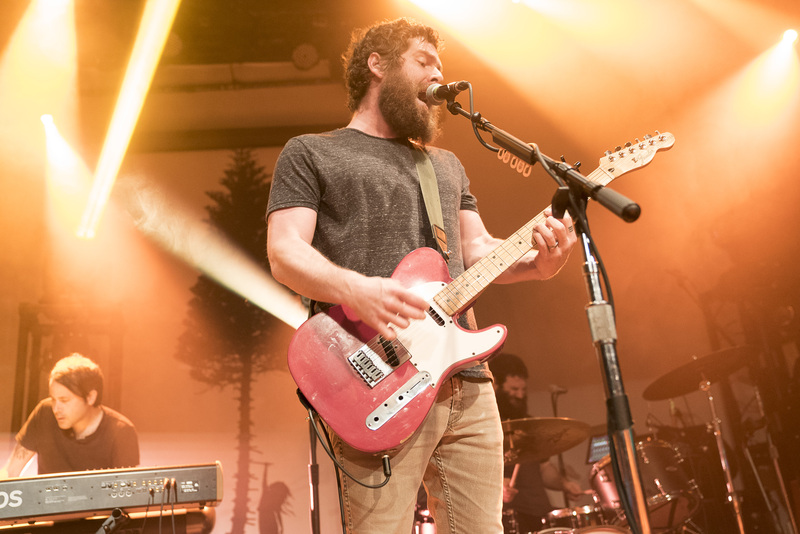 The crowd went wild for Manchester Orchestra even starting a mosh pit so crazy that it evoked comment from vocalist Andy Hull saying, “Take it easy Warped Tour.” There was even a crowd surfer during their set. 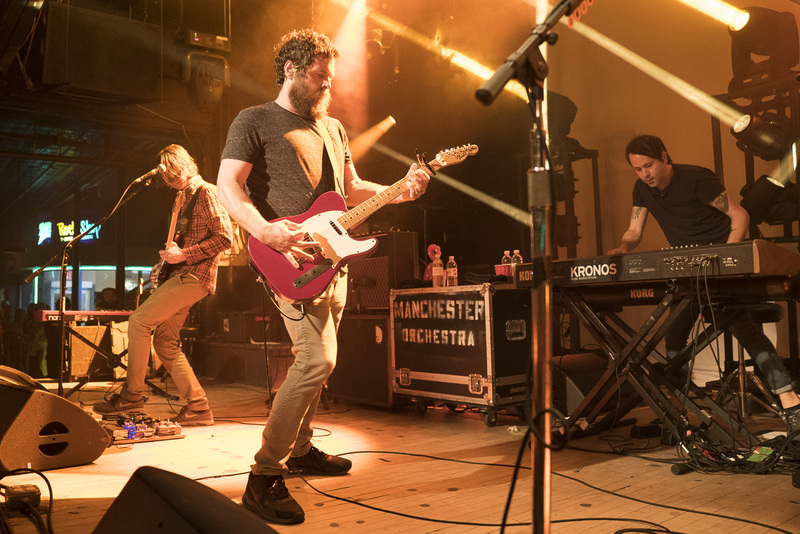 After Manchester Orchestra played their main set and disappeared off stage the crowd chanted for, “one more song” repeating those words over and over again until they came out. They came out again and played another two or three amazing songs on top of their extensive set. Like their music, Manchester Orchestra’s set traversed time and space leaving me enriched and with a sense of wonder.